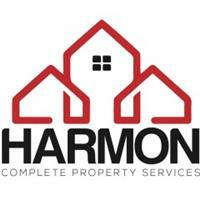 Harmon CPS - Bathrooms, Bedrooms, Kitchens, Painter/Decorator based in Romford, Essex. Based in London and Essex, covering all the surrounding areas. Harmon CPS is a trusted, rated and reliable firm of General Maintenance, Bathroom/kitchen fitting, Painters and Decorators. We have been providing customers in the London, Essex and surrounding area with a high-quality finish for over 20 years. Our friendly, experienced painters and decorators help to breathe a new lease of life into homes and offices, so that our customers can once again enjoy the space in which they live. With our 20 years of experience, we know which products and techniques will provide the best finish, that will last. We offer all internal and external services for commercial and domestic customers alike, and take the time to understand everyone’s requirements so that we can complete the work to the highest possible specifications. We work hard to ensure that all our tradesmen work to high standards, using the best techniques and products for the job. If you would like to discuss your specific requirements and to get more information about our services, please feel free to contact us with any questions that you may have, or to arrange a no-obligation appointment or quote.